Where Are They Now? Catching Up with the Winner of the Inaugural WBENC PepsiCo Choice Competition – No Mo Nausea. 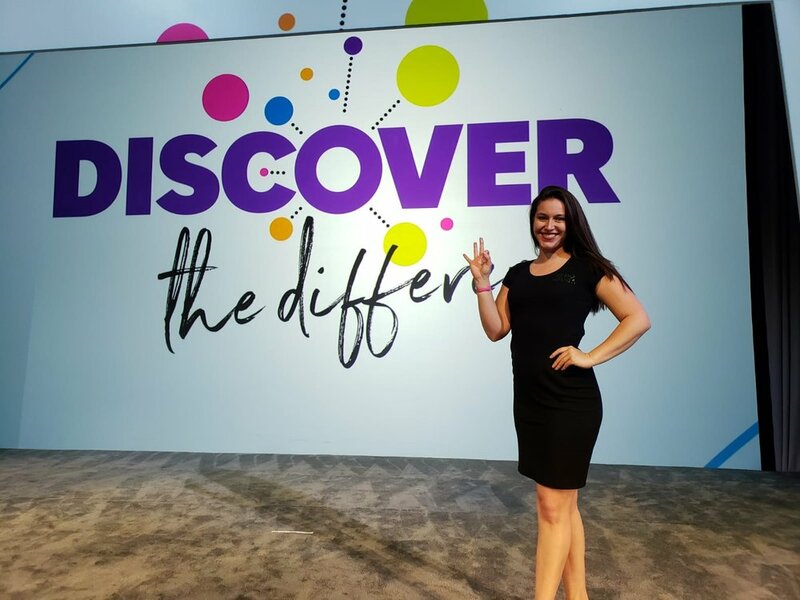 In June of 2018, WBENC hosted the inaugural PepsiCo Choice Competition, a Shark Tank-like pitch competition that took place live onstage during the WBENC National Conference & Business Fair in Detroit, Michigan. The competition put the spotlight on innovative female entrepreneurs with compelling stories and solutions or products impacting environmental sustainability, wellness and nutrition, and economic development. Applications were open to all WBENC-Certified WBEs, and three finalists were ultimately selected to give their best three-minute presentation on their company, product or innovation with the purpose of gaining valuable feedback from an expert panel of judges. The three finalists pitched their innovative solution during the finale luncheon of the conference, including Pamela Isom of Ice Safety Solutions, Jaqueline Darna of NoMo Nausea Bands, and Jan Long of Mr. Canary Co. But it was Dr. Jacqueline Darna, the medical inventor and CEO of NoMo Nausea Bands, who ultimately most impressed the judges and came away the winner, earning her $15,000 cash towards improving her business and mentoring sessions with PepsiCo executive. We caught up with Dr. Darna recently to learn more about the story behind NoMo Nausea and how winning the PepsiCo Choice Competition has impacted her business. Part of the reason Dr. Darna walked away the winner of the PepsiCo Choice Competition was the obvious passion she has for her product, which she says originated from her own life experiences. “I had terrible nausea after giving birth to my second child,” she says. “This gave me the epiphany to create a nausea relief product for when medications did not work or when they came along with unfavorable side effects.” Her anesthetist gave her peppermint leaves and she had taped small balls of gauze to her wrist, at a point (P6) believed to relieve nausea. “After smelling the leaves and creating a makeshift version of acupressure, I experienced nausea relief and could finally enjoy time with my new child,” she says. Upon this discovery, Dr. Darna wanted others to experience relief, too. So she created the NoMo Nausea Band, an easy, natural, and fast-acting remedy for nausea. Whether it’s from motion sickness, pregnancy or illness, Dr. Darna wants to improve people’s daily lives and often tells people to “imagine” their life or a day without nausea, because that is what her product provides. Dr. Darna has stayed true to this statement and continued to expand her reach and line of products, including a NoMo Migraine Band for those suffering from headaches and migraines, the NoMo Nausea for Kids Band, and the NoMo Nausea for Dogs Band. Today, NoMo Nausea Bands are widely sold at well-known retailers such as Amazon, CVS Pharmacy, and Bed, Bath & Beyond, are recommended by 900 doctors, and have been published in clinical trials. Since winning the PepsiCo Choice Competition, Dr. Darna has continued to grow and strengthen her business, especially via the mentoring sessions provided by PepsiCo executives. “We are extremely grateful to have won this award,” she says. “The resources the mentorship provides our team is extraordinary.” From finding ways to get NoMo Nausea on more retailers’ shelves to gaining deeper insights into pricing and P&L comparisons, the mentoring she and her team received provided the company with resources and support they could not find elsewhere. To find out more about NoMo Nausea and Dr. Jacqueline Darna, visit nomonausea.com or follow them on Facebook and Twitter. Stay tuned for more information on the 2019 PepsiCo Choice Competition, scheduled for Thursday, June 27 at the WBENC National Conference & Business Fair in Baltimore, Maryland. Posted on February 5, 2019 by WBENC and filed under WBENC News, Corporate Members, Top Corporations and tagged corporatemembers supplierdiversity topcorporations.